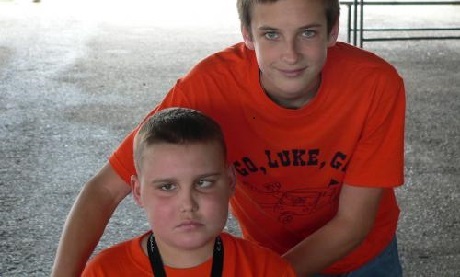 Luker, as those closest to him called him, was not your typical child. Outside of things that had wheels, he wasn’t interested in toys. Instead, he loved the American flag! He collected them and begged for more every time we went to a store. If he had a flag in his hand, I could shop in peace. For Flag Day and July 4th Luke was putting his flags outside to commemorate these important days and encouraging neighbors to do the same. 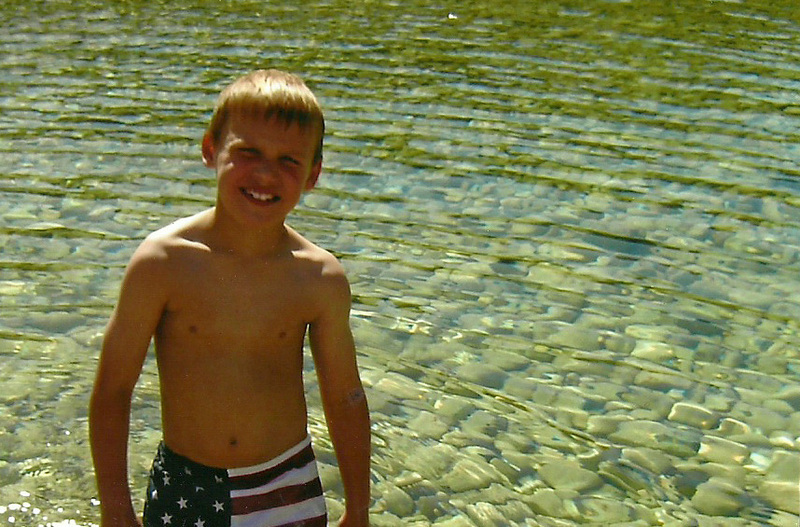 He was the most patriotic kid you could ever imagine. Luke also loved all holidays. Christmas was his favorite and he loved decorate accordingly. His birthday was November 18. Every year he wanted Christmas decorations! He loved the idea of getting more trees and lights. Later he was consumed by the inflatable yard “blow­ups”. We couldn’t understand why he didn’t just want “typical” presents and tried to convince him otherwise. Once Thanksgiving passed he was outside encouraging neighbors to put Christmas yard decorations up and he was willing to help. Of course, they took him up on his offer. Christmas took on a life of its own in the Pollok house. 10 years and 15 yard inflatables later, it would come to mean a whole lot more. Luke was a very healthy child. He rarely needed to go to the doctor for anything other than wellness checkups. He was a very well-mannered loving child. His teachers routinely praised him for his good behavior and willingness to help others. Outside of school, the neighbors adored him because of the same reasons. He would kindly play with the younger kids. He would ask the neighbors if they wanted him to wash their car. When they asked how much he charged, he politely responded, “Oh, I don’t want you to pay me, I just want to wash your car for you.” He was definitely one of a kind and was well-known for being a “wise old soul. When he was in 4th grade we noticed changes. Homework was taking much longer to complete. He got irritated easily. As the school year progressed, he became more emotional and was quick to cry. He complained of his double vision, asking his dad, “Is it normal to see two of everything?” Realizing that he was having eye problems and assuming that it was causing some of the other issues, we made an eye appointment. There the eye tech told us that he was near-sighted and needed glasses. When I inquired about his left eye turning inward slightly, the tech assured me that his eyes were changing and developing still and he would be fine. After struggling with headaches, dizziness and balance issues, we knew it was more than just his eyes, but we were hoping he just needed a different prescription. By January it became increasingly evident something was very wrong. After a fall in the bathtub while washing the dog and a conversation with a concerned neighbor, we knew we had to have him evaluated. The next morning, we drove to Children’s Hospital of San Antonio. Our fears were faced. The initial PET scan revealed a large tumor in his brainstem called DIPG (Diffuse Intrinsic Pontine Glioma). After a MRI was done, they gave us the diagnosis no parent ever wants to hear. We were told, “Your son has a rare, inoperable brainstem tumor for which there is no cure. You have 9­ to 12 months with him.” He only made it 9 months and passed away Sept. 30, 2009 at the age of 10. Given the prognosis that there was no cure, it was devastating. This feeling of hopelessness is driving our desire to help find a cure for the other children that will face this same diagnosis, or any type of brain tumor. These children deserve to grow up. We know that researchers are capable of finding a cure, but without enough funds to sustain these efforts, we won’t gain much progress. Just as Luke never gave up hope, or did we, we will not give up hope for advances in research to be made to not only give these kids a chance to live out their dreams, but to improve the quality of survivorship. So that when they are labeled a “survivor”, they aren’t just merely getting through life, with serious long-term effects, they are celebrating that cancer is simply a part of their past. Luke always put everyone else first in his life, even during his illness. It is through his positive outlook, genuine caring for others and never giving up, that we want his legacy to carry on. Through helping other children fighting this disease, we know his light will shine forever. Keep Luke's website funded by donating to the Luker Caringbridge page! These friends and family members helped us raise funds for childhood cancer research in honor of Luker! See the 2015-2018 list. 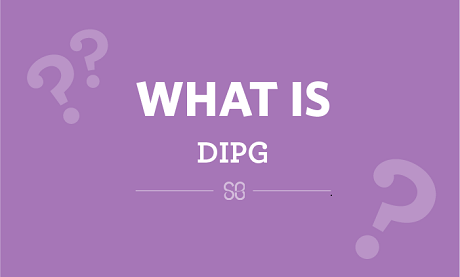 About 250 kids are diagnosed with DIPG each year. Learn more about this disease on the St. Baldrick's blog. 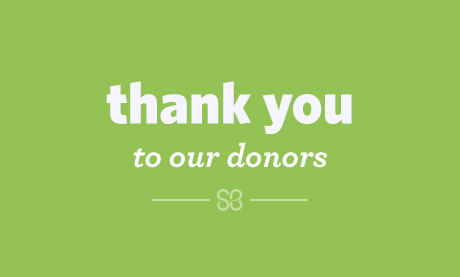 Donations given to the Living For Luker Fund go directly to the St. Baldrick’s Foundation to fund lifesaving childhood cancer research around the world. The Foundation is guided by a Scientific Advisory Committee, comprised of leading experts in the childhood cancer community, to ensure that every dollar makes the greatest impact for kids with cancer. These people make us smile - they’re the doers and money-raisers on behalf of Living For Luker. They’re shaving their heads, hosting events, starting fundraisers and more to make childhood cancer research possible.